Opinion: Tottenham fans are right about demands for £72m-rated ace | The Transfer Tavern | News, breakdown and analysis on all things football! On the five year anniversary of Tottenham’s Christian Eriksen making his debut, fans have been discussing the Great Dane’s time in London on Twitter. The prolific midfielder joined from Ajax in 2013 for around £11m, making his debut against Norwich, bagging two assists. Since then, he has gone on to make 174 Premier League appearances, scoring 41 goals, and notching 49 assists. In response to the story, one of our regular punters delved into Twitter and reported that the Tottenham fans are desperate for Eriksen (valued at £72m on Transfermarkt.co.uk) to sign a new contract, and their demands need to be met. Eriksen has become one of the central figures in Mauricio Pochettino’s Tottenham revolution, with most attacking play in the final third of the pitch going through the elusive midfielder. The fact that he can often chip in with a goal or two makes the 26-year-old invaluable. However, it is not so much the brilliance of Eriksen which means that he has to stay at Tottenham, because they would potentially be able to replace him, it is because it sends out a message to a lot of Tottenham’s rivals. If The Lilywhites are willing to sell one of their star players to any club, regardless of how powerful they are in Europe, it sends the message that Tottenham still see themselves as an inferior, feeding club to European giants. While chairman Daniel Levy would never sell him to a rival Premier League club, he still should hold back from selling him altogether, and offering the player a new contract is a way to do that. The key is, though, whether Eriksen is content being at a club whereby the players’ wages are lower than other clubs. This is because of the well-documented bonus structure at Tottenham, but it is still a system that has conflicted with many players as well. Whilst the club offered a significantly large contract to Harry Kane, that should certainly be the exception rather than the rule. 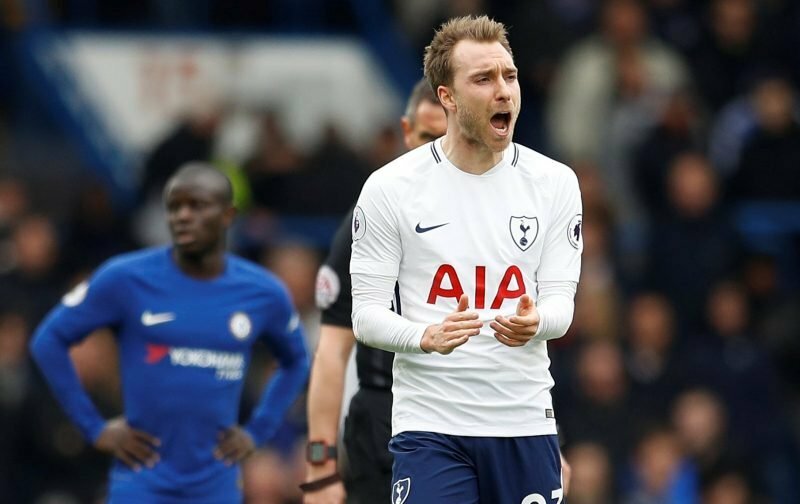 Levy should not, and is unlikely to, bow down to Eriksen’s demands, but there may need to be a case of both parties meeting half way, because it is so crucial that the Dane stays at White Hart Lane.